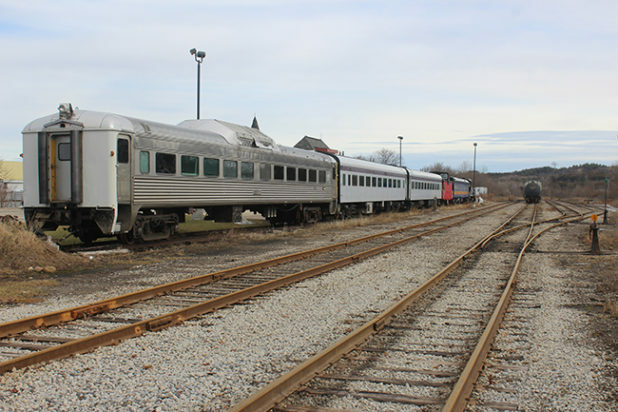 Cando Rail Services Ltd. will cease its industrial and tourist operations of the Orangeville Brampton Railway (OBRY), after 18 years of operation. Cando recently announced that it would end freight operations on June 30, while the Credit Valley Explorer’s final trip under Cando’s management, a major tourist attraction for the town, will be this Saturday, Feb. 24. Cando is a Manitoba-based rail services company with several operations in Ontario, including Hamilton, Kingston, St. Thomas, and the Barrie-Collingwood corridor. Founded in 1978, it currently runs freight trains two days per week on the 55-kilometre former Canadian Pacific railway from Orangeville to Mississauga. “From a business standpoint, right now it just doesn’t make sense for us to keep operating it,” said Hailey Gajadhar, Cando Rail Services marketing and communications co-ordinator. The Explorer was the brainchild of Steve Gallagher, Cando’s former manager of the local line. Billed as Southern Ontario’s Most Scenic Rail Tour, the train routinely sells out its regular runs and Santa Trains. Despite the scheduled halt of freight operations by end of June, Ms. Gajadhar said, “We’re willing to stay on if we have to,” if a new operator isn’t found by then. Mayor Williams said he hopes operations under a new contractor can happen before Cando’s contract ends, as an active search has been under way since shortly after the firm made its decision. Asked about the possibility of having a GO line to Brampton, Mayor Williams said he approached them, but was told there’s not enough demand, and a more likely option would be a light rail transit line.